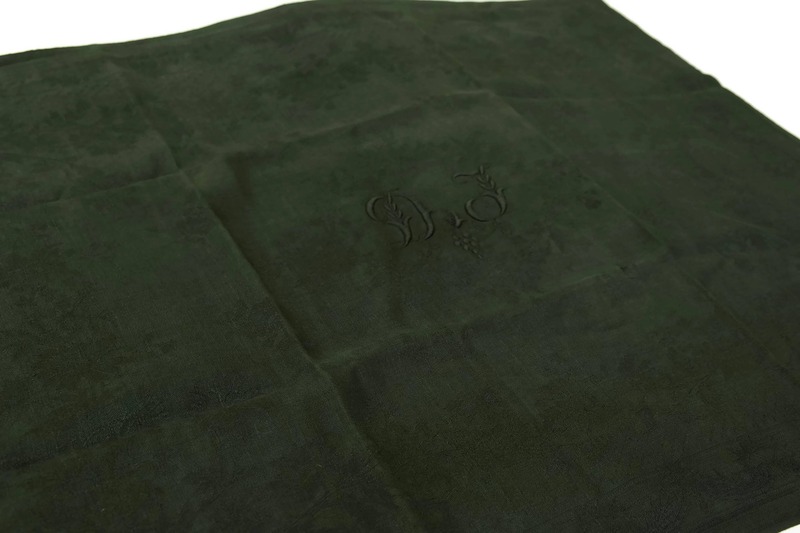 French Linen Napkins. 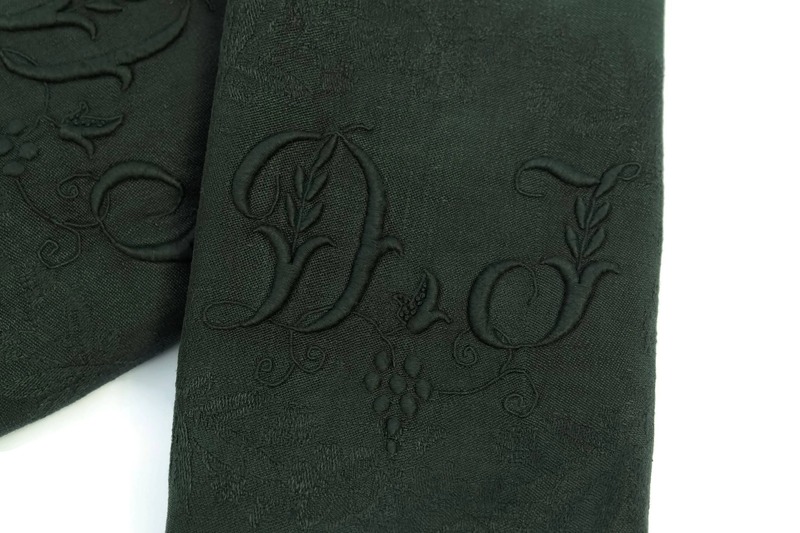 Green Antique Monogram Serviettes. 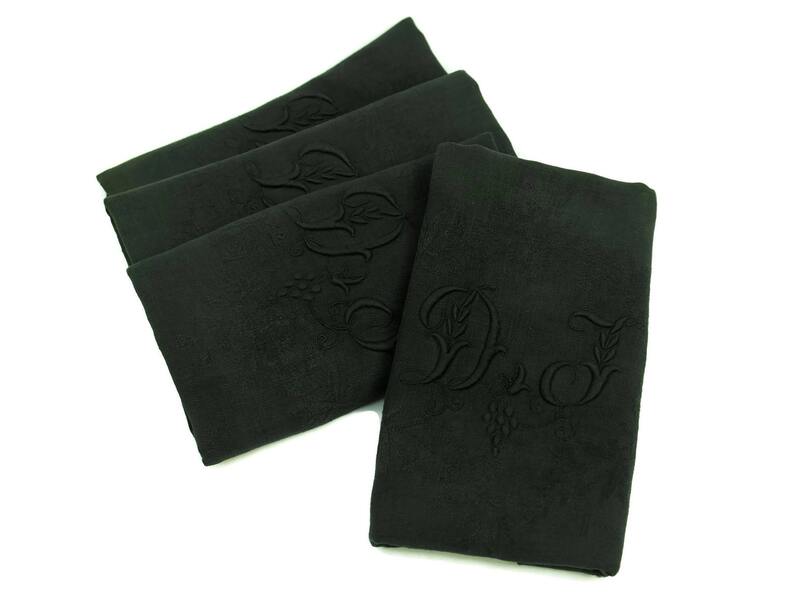 Set of 4 with Embroidered Initials DJ. 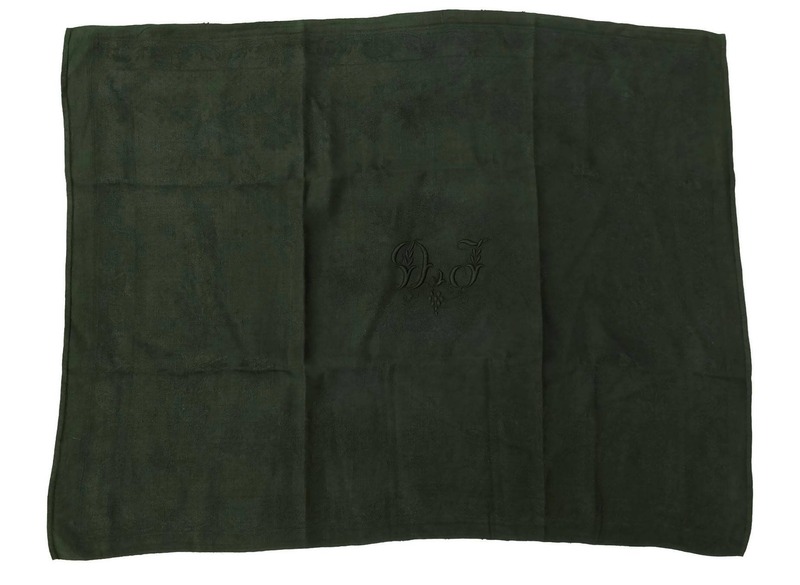 An antique set of 4 French linen napkins in a beautiful shade of deep green. 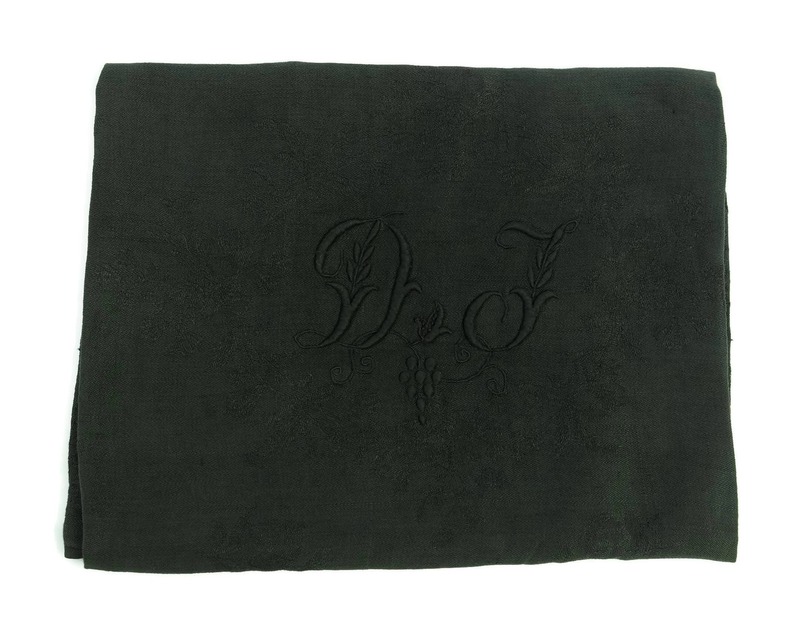 Each serviette has a monogram with the intials DJ that has been expertly hand embroidered. 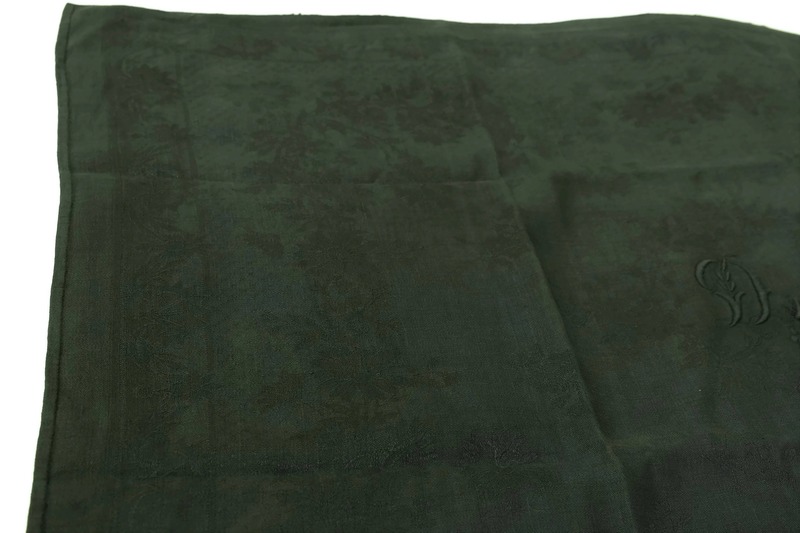 The very large linen napkins have been hand dyed in a deep shade of forest green that is perfect for Christmas and holiday table decor. 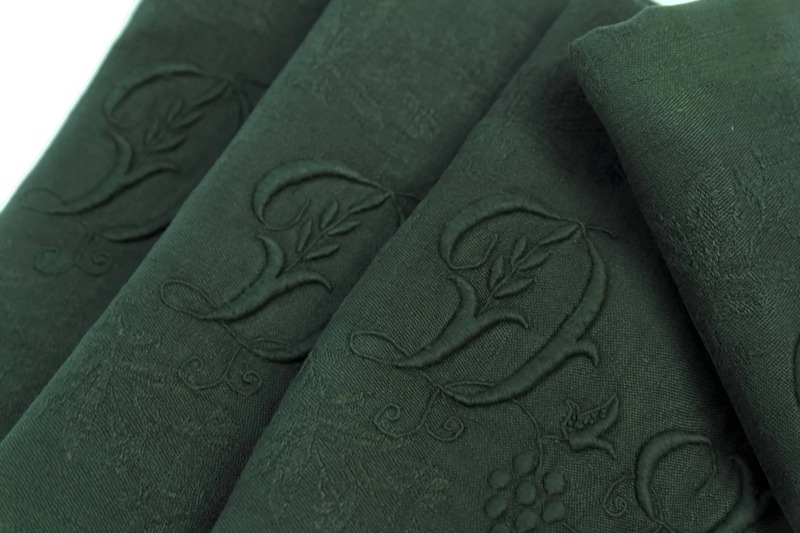 The set of 4 linen napkins is in very good condition with light signs of age and wear. 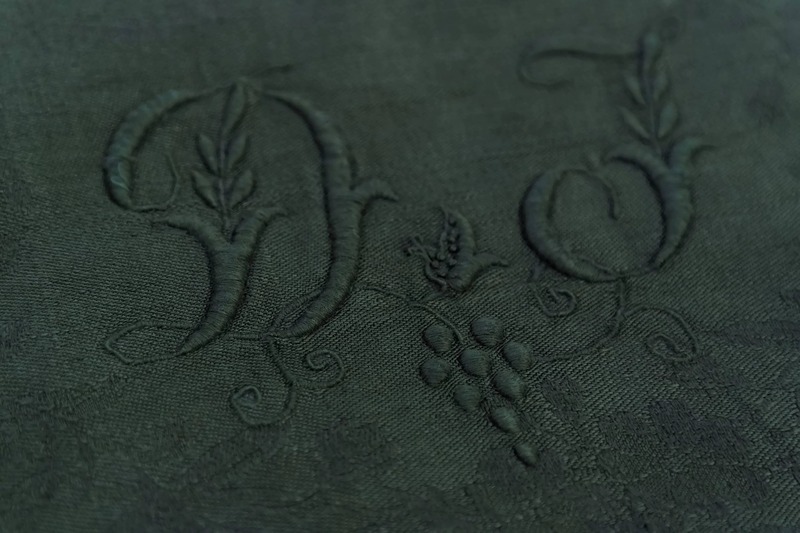 There are small darning repairs to two of the napkins. 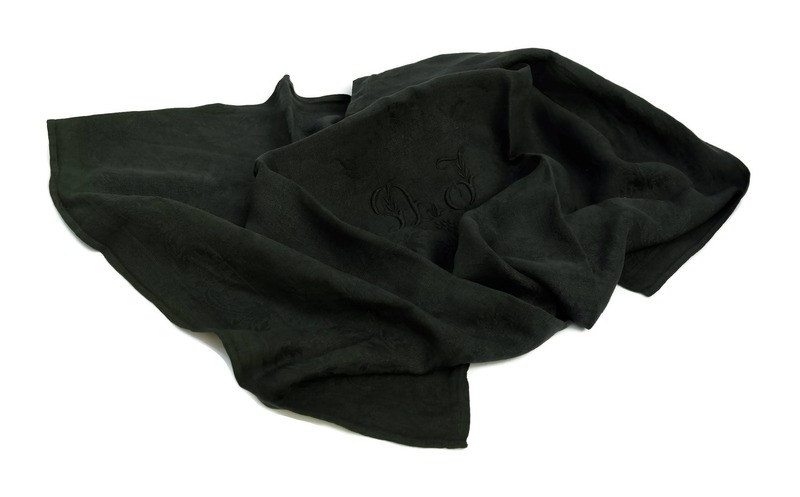 As they have been hand dyed there may be slight colour and shade variations in places. 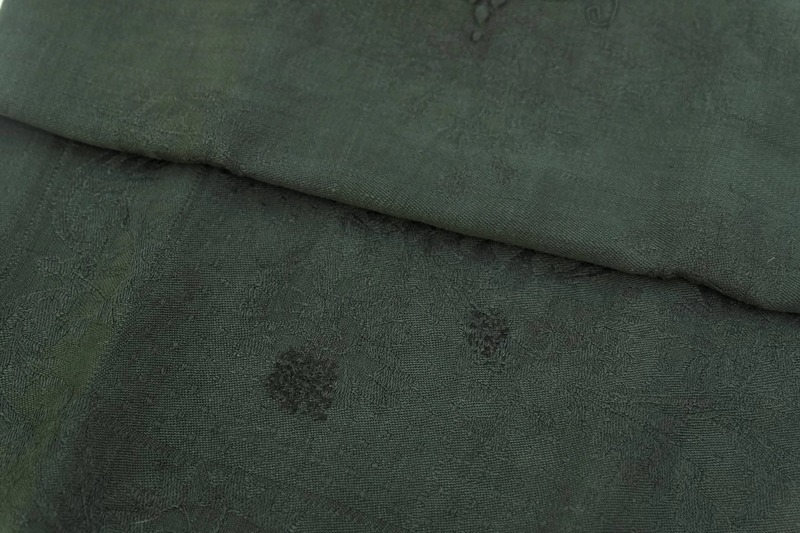 There are holes or damage.